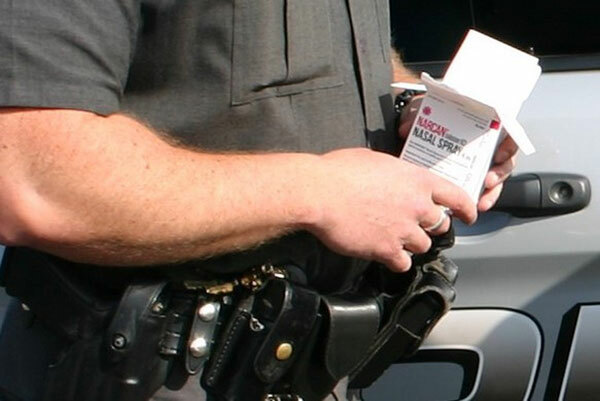 Police Chief Richard P. St.Sauveur, Jr., has established a new policy which authorizes Smithfield Police Officers to carry and administer the well-known, life-saving drug known as Narcan. Members of all three patrol shifts have received the necessary training, and have been issued a dose of the nasal spray. 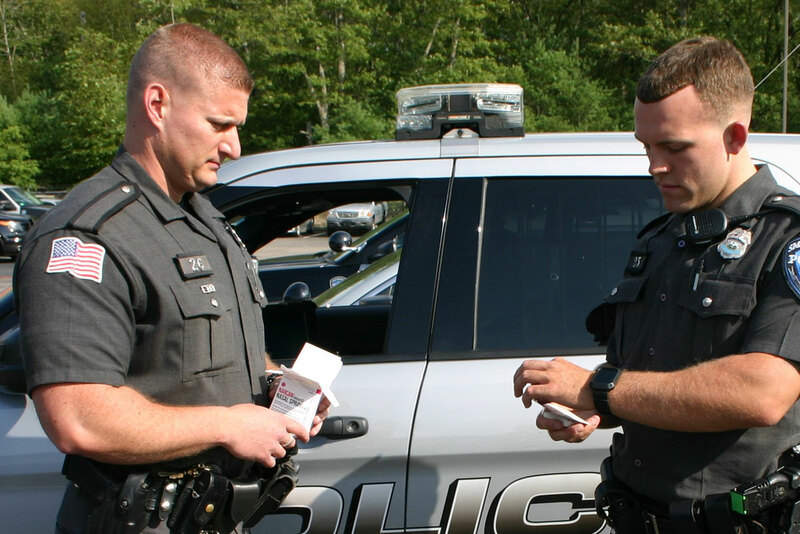 Two officers are shown here inspecting their Narcan, prior to bringing it with them on patrol.